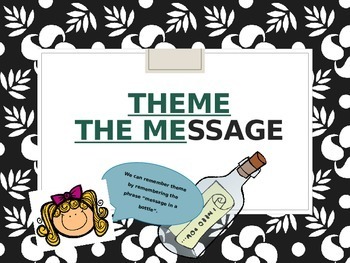 This 10 slide PPT includes a simple way for students to remember that THEME means "THE MEssage". The author's message of course. 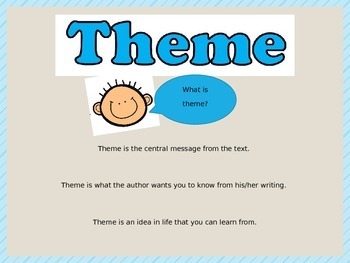 It gives them a great visual and includes two practice passages with answer choices. The last slide gives an optional activity where students can work in groups to read passages of your choice and write the theme of each on a piece of paper. The students then place the paper in a bottle to represent "THE MEssage in a bottle." My students LOVED this activity and never forgot what theme represented!